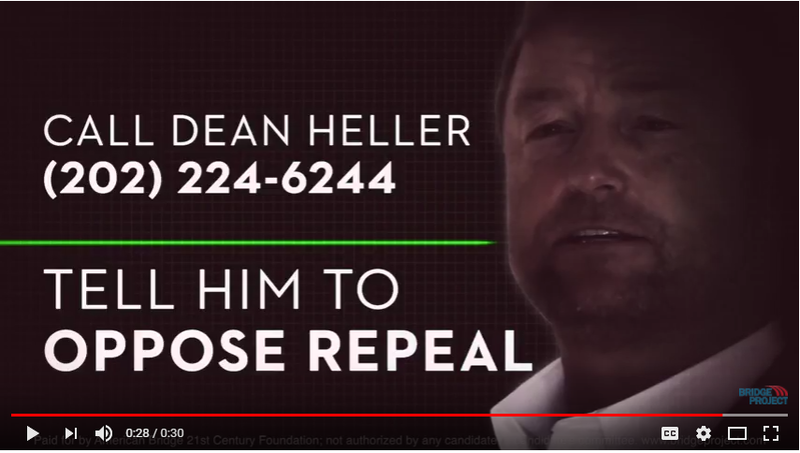 By backing Graham-Cassidy-Heller, Donald Trump and his allies like Dean Heller have violated their promises to improve health care quality and decrease costs. Just like all the Trumpcare proposals that came before it, Graham-Cassidy-Heller would crush Americans’ finances and lead to medical hardships that the Affordable Care Act protects against. Graham-Cassidy-Heller, though, manages to make things even worse: it would gut Medicaid with $2.6 trillion in cuts that would make the program unrecognizable to the Americans who count on it. On top of that, the plan would cripple the Affordable Care Act’s guarantee that insurance plans cover the most basic, essential health benefits, such as hospitalization, pregnancy care, and prescription drugs. Every single version of Trumpcare has prioritized tax cuts for the rich while stripping millions of their health insurance, making health care even more expensive, and ending Medicaid as we know it.